1You need to commit to something bigger. 2Always be the best version of yourself. 3You need to focus on completing yourself. 4You need to erase your past. 5Touch and intimacy are very important for your relationship. 6You need to treat your relationship as spiritual. 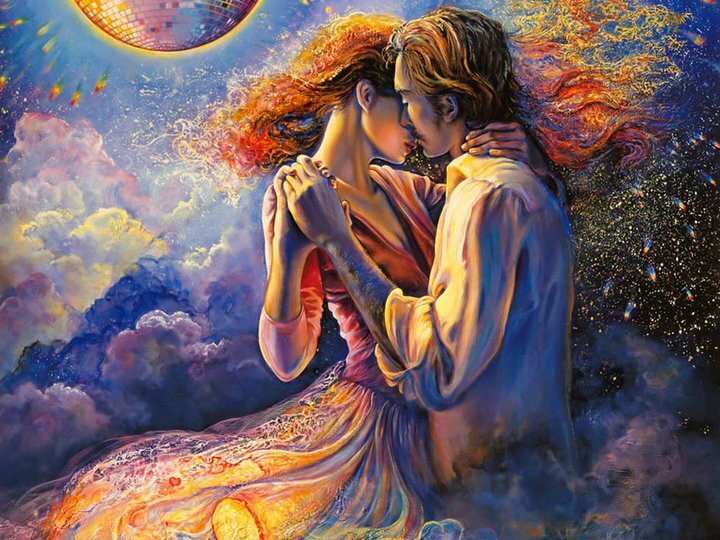 Before we start, I would like to ask you a quick question – do you want a deeper, spiritual connection with your partner? If yes, then you’re in the right place – and please, read on! Ladies and gentlemen, if you have walked the path of awakening, chances are your focus has shifted away from a relationship that is all about your wants and needs being fulfilled to a relationship that is about a deeper, spiritual connection. Well, this means if you create a deeper spiritual connection with your partner, suddenly your focus shifts away from just thinking about yourself and into a more open space that allows you to think about how you can best serve each other so you can both reach your fullest potential. But, in order to accomplish this, both individuals have to have a spiritual relationship with themselves first. You need to commit to something bigger. This is very important for you to understand – in order to elevate your relationship into a deeply spiritual partnership you both need to understand that your coming together is so much more than just a give and take, and is more about supporting each other on your own individual paths. And, one more thing – when you can both respect each other’s purpose and work out a way to help support each other to living that purpose, that is when the connection of your relationship will radiate with a higher love. Have you ever felt swallowed up by your relationship? Do you ever lose sight of who you really are? First of all, you should know that this can happen in a relationship as a way to help you find yourself, however if you feel this way often, it may be a sign that you need to stop and assess the direction you are heading in and if you are giving away too much of your power. In a true spiritual relationship there’s no need for power and control and that both individuals are free to express themselves within the boundaries of the relationship. When both people are treated as equals and are supported in their expression, it helps create space so you can both focus on becoming the best version of yourselves. You need to focus on completing yourself. This is very important for you to understand – a true spiritual relationship understands that by being together you are not going to complete each other. And, ladies and gentlemen, the only way that you can feel complete is by truly working on yourself and learning how to find your own sense of wholeness. For a spiritual relationship, all voids, holes and gaps in oneself are opportunities for self healing, and are not simply patched over by the distraction of each other. In most spiritual relationships, when one partner works on being complete in themselves, the other partner will naturally follow the lead as well. You need to erase your past. Unfortunately, we all have past hurts, past relationship baggage and past wounds that need to be cleared. Well, you could spend the rest of your life unearthing all of your baggage, if you can look back at all the events and send them light and love, then your work is complete. If you can’t look back on the past and feel love for it, then there is a little more healing work for you to do. And, the main reason why this is so important in a spiritual relationship is that in order to really support each other, your heart needs be open and free of burdens and pains. Practicing forgiveness also helps you to view your relationship with more compassion and won’t effect how you experience your current relationship. Touch and intimacy are very important for your relationship. Yes, you got that right – touch and intimacy are extremely important for any relationship! Why? Well, that’s easy to answer – because it can help to develop a stronger bond and attachment between one another. And, this is very important for you to understand – on a spiritual level, touching and exploring each others bodies helps you to develop energetic cords and helps to create harmony between your mind, heart, body and soul. These cords will hold the intention of the two individuals, so it is important in any relationship that both are focused on sending light and love to each other, especially when being intimate. You need to treat your relationship as spiritual. We use the moon light to charge our crystals, right? Well, ladies and gentlemen, you should do the same with your relationships. Spending allocated time with each other or planning fun activities together is a great way to honour your connection and your relationship. And, one last thing – being grateful every day for your partner and the lessons of your relationship is also important. Thank you for your time and don’t hesitate to click the share button at the end of the article.